'O Christmas Tree! O Christmas Tree!' It isn't Christmas without the smell of pine needles and twinkly lights lighting up the living room. 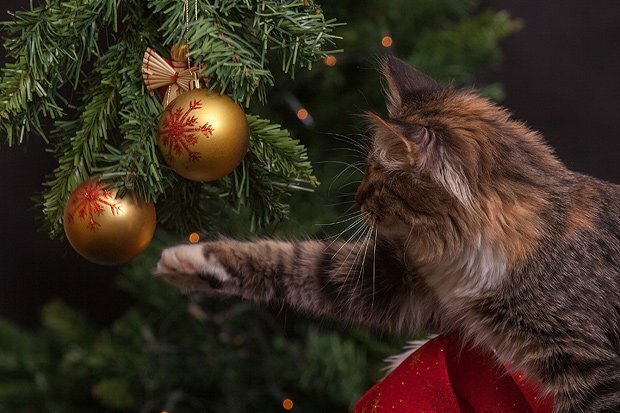 If you didn't have a tree, where would Santa put the presents? To help you stay organised, we've put together a list of some of the best places to find a tree in Edinburgh and Glasgow. Buying a tree from Caring Christmas Trees (various outlets, 0345 111 8733, caringchristmastrees.com) means you'll be helping to support thousands of people that are dealing with homelessness or families that may be struggling this Christmas. Caring Christmas Trees are freshly-cut, grade 1 standard Nordman Firs, grown in Scotland in managed, sustainable tree farms. They operate in a number of locations in Scotland including Dunfermline, St Andrews, Glasgow, Edinburgh and the Lothians. Prices start at £35 and trees can be collected from a range of collection points. Plus at the collection point you get to choose your own tree. Real Christmas Trees (07982 184993 / 07957 915070, realchristmastreesglasgow.co.uk) in Bishopbriggs will deliver your chosen tree free of charge, and even pick up it up in January when you're all Christmased out. You can choose between Nordmann Firs and Fraser Firs as well as a variety of tree stands to make sure your tree stays healthy. Prices start at £30. Visit for viewings and collections between 10am and 6pm or order online. Xmas Trees Glasgow (Castlemilk, 07833 457802 / 07909 561726, xmastreesglasgow.co.uk) stock freshly cut and locally sourced Nordmann Fires, Fraser Firs and Lodgepole Pines. Prices start at £35 and trees are delivered for free in the Glasgow area. Visit for viewings and collections between 10am and 5.30pm. Over at Edenmill Farm (Blanefield, 07805 672153, edenchristmastrees.co.uk), the doors are open from 1 Dec, with the staff on hand to help you choose your perfect tree. You'll find the Scots Pine, Fraser Fir, Nordmann Fir and Norway Spruce, with prices ranging from £30-£90. You can also buy decorated and undecorated Christmas wreaths. Edenmill Farm also have UK wide delivery for trees bought online. 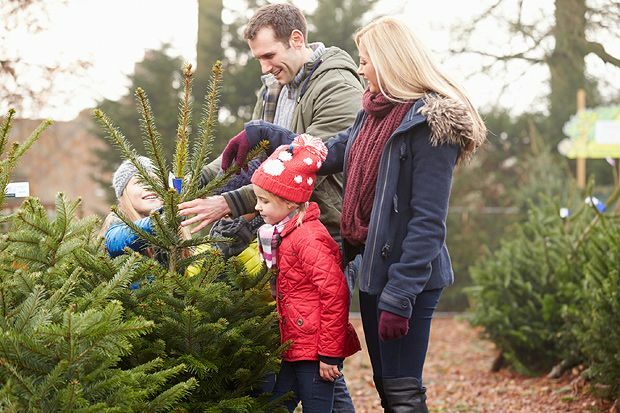 At the Finlaystone Country Estate (Langbank, Renfrewshire, 01475 540505, finlaystone.co.uk), you're invited to bring the family along to tag your tree of choice and then cut it down at a later date, they provide the saw. Tagging begins on Sat 18 Nov. Delivery can be arranged for a small charge. On top of the excitement of choosing a tree, kids can also pop into Santa's Grotto on the grounds of Finlaystone. Located 20 miles north of Glasgow, the Christmas Tree Farm (Wester Auchentroig, 07710 579752, dufftrees.co.uk) have been growing trees since 1977, with their selection now including Norway Spruce, Nordmann Fir, Fraser Fir and Lodge Pole Pine. Ready cut trees are available but make sure you bring your wellies if you want to pick your own. They are open from 1 Dec 9am--5pm. Dobbies Edinburgh (Melville Nursery, Lasswade, 0131 663 1941, dobbies.com) go all out on Christmas, selling both real and artificial trees along with various decorations, lights and accessories. Prices start from £19.99 and if you can't locate your Christmas tree stand they stock those too. Delivery is £12.95, with 17 Dec being the last order date. 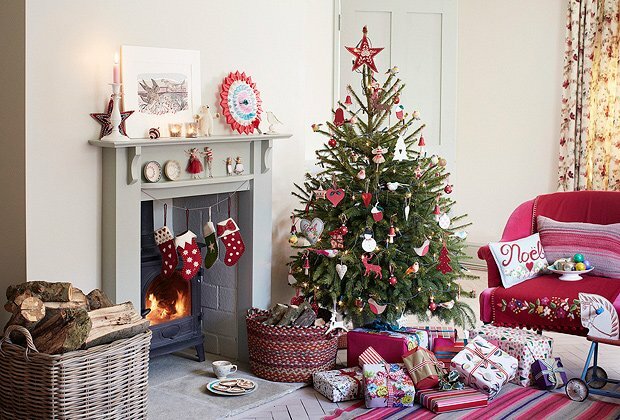 Based in central Edinburgh, Green Fir Christmas Trees (0131 618 2875, edinburghchristmastrees.com) sell Nordmann Firs, with sizes ranging from 5ft to an impressive 13ft, if you're blessed with high ceilings. They offer next day delivery and will even carry it up the stairs for you. Trees are priced between £55 and £175. CrimboTrees (Old Jenners Depository, Balgreen Road, 0131 346 9539, crimbotrees.co.uk) also specialise in Nordmann Firs. You can either visit their site at the Old Jenners Depository (open from 1 Dec) or buy online. Delivery is available for EH1, EH2, EH3, EH4, EH11 & EH12 postcodes for £10. Their first Christmas tree is delivered to Maggies Edinburgh, as money raised from trees has allowed them to sponsor the centre's running costs for one day. Dalmeny Christmas Trees on Craigie's Farm Deli and Café (West Craigie Farm, South Queensferry, 07702 325716, dalmenychristmastrees.co.uk) have been supplying trees for 20 years and are open daily from 9am-5.30pm (from 2 Dec), with Norway Spruce £5 per foot. Hopetoun House (0131 331 2451, hopetoun.co.uk), also in South Queensferry, sell trees from 1-23 Dec during daylight hours. Prices start at £35 for Scots Pines and Fraser Firs and £46 for Nordmann Firs. Please it is cash only on site. Local delivery can be arranged for an additional cost. The East Lothian Christmas Tree Centre (Tranent, 01875 613 574, eastlothianchristmastrees.co.uk) sells Nordmann and Fraser Firs from £25 which can be delivered for free if you order a tree over 7ft. They can also recycle your tree for you. Bring your tree back and they will keep it in their yard giving shelter &andfood for small birds over the Winter (aww) before recycling it is an environmentally friendly manner. You can also buy your tree from one of the many Forestry Commission Scotland Christmas tree sales centres (various outlets, scotland.forestry.gov.uk), from Glentress just outside Peebles to Kinnoull Hill near Perth. Check their website to find a centre near you. Pines and Needles (020 3384 9420, pinesandneedles.com) deliver trees all over the UK, with standard delivery from £21.95. If you're in London, they can set your tree up for you in its stand once it's delivered, for an extra £15. The site also sells a selection of stands, lights, wreaths and decorations. Real Christmas Trees (0845 604 8366, realchristmastrees.co.uk) have 10-14ft trees, with prices starting at £105 for a 10ft Norway Spruce. All prices include delivery. Scottish Christmas Trees (01387 760572, scottishchristmastrees.co.uk) are based in Dumfries but their online shop caters to the whole of the UK. They stock Fraser Fir, Nordman Fir and Norway Spruce trees and standard delivery for trees under £125 costs £10.49. The last delivery date for 2017 is Wed 20 Dec.
Good Elf (0203 519 9997, goodelf.co.uk) sell trees, stands and lights, also offering installation and decorating services, no matter the size or location of the tree. Fill out a form on their site, and they'll get back to you in 24 hours with a quote. Elegant Trees (07772872777, eleganttrees.co.uk) deliver within the Edinburgh area for free and charge £10 for deliveries further out. Customers can choose from Nordmann Firs, Fraser Firs and Norway Spruces from £30 on the online store.